Water Melon Seeds are loaded with nutrients including fatty acids, essential proteins and lots of minerals. 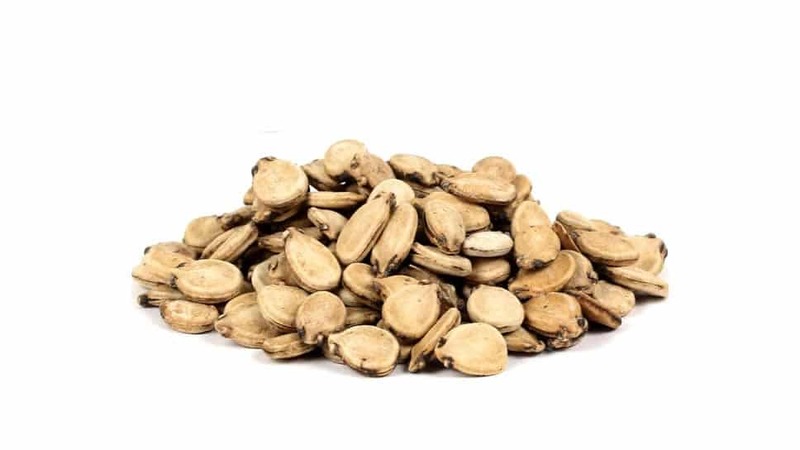 These seeds are rich in vitamin B like thiamine, niacin, folate and minerals like magnesium, potassium, manganese, iron, zinc, phosphorus and copper. Besides, they are a great source of calories with 100 grams of watermelon seeds providing around 600 grams of calories.